• Contoured Aerodynamic shape tapering down to the lower back with interior underside air channels to flow ventilating airflow into the garment. • Cast from two part closed cell foam for light weight and no moisture retention. The Vanson VH is a two part foam piece molded into an aerodynamic shape. 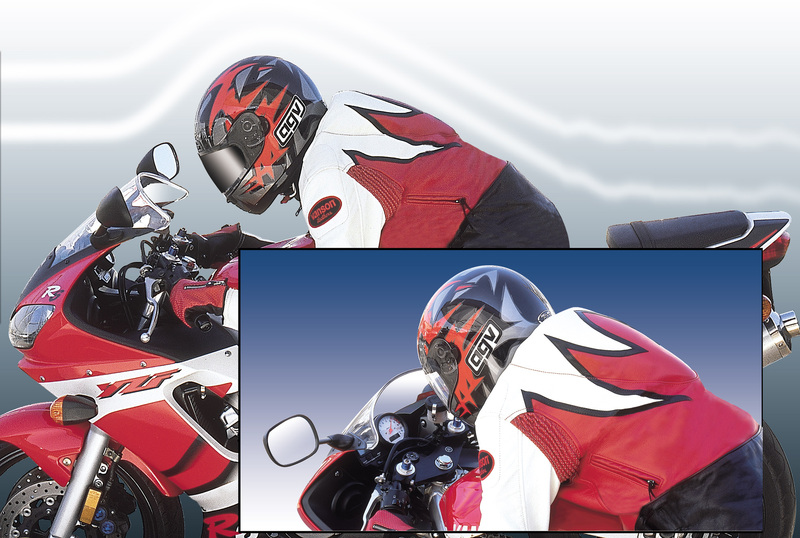 This shape fills the vacuum behind your helmet and lets the air flow cleanly over your head and down your back. HUMV – Vented Hump - The front face of the hump also serves as a large air-scoop. This is constructed to flow air into the garment for ventilation and cooling. There is a 1000 denier nylon cordura mesh safety screen to allow air flow into the hump. Once the airflow has been scooped and channeled it passes through another 1000 denier nylon cordura safety vent built into the inner back of the garment. Both the HUMP and the HUMV may be ordered with a Radio Cavity – order extra HUMR or a Camel back water bag – order extra HUMW. Use of a Hump has been shown to increase the turbulence behind the rider making drafting by another rider more difficult. Because of the shape and size, the Slipstream Pad may limit certain suit graphics.